Which “Persian Gulf crown prince” has parked his large jetliner at the Minneapolis-St. Paul airport? Turns out, it belongs to a crown prince from a very wealthy country in the Persian Gulf which borders Saudi Arabia. The airport’s commission confirmed those details, adding that the large jet apparently flew to Minnesota with members of the royal family and their entourage. Speculation is that whatever royal rode the jet to Minnesota did so in order to check in at the world-famous Mayo Clinic. The Mayo Clinic is headquartered in Rochester, Minnesota, which is driving distance from the MSP airport. The report goes on to say that “security was tight” at a local luxury hotel and that the jetliner was from the United Arab Emirates. SPECULATION – While security is always heavy for any member of a royal family, could the significant population of Muslim immigrants in the Twin Cities have sparked the ‘mum’s the word’ stealth on the part of the jet’s owner? Muslim Population in the USA. Further speculation: Mohammed bin Zayed Al Nahyan is the crown prince of Abu Dhabi (in the UAE), as well as well as Deputy Supreme Commander of the UAE Armed Forces. 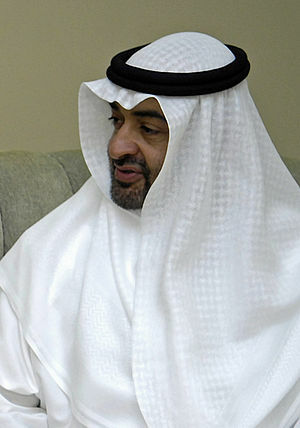 The crown prince is 51-years-old. While the name of the owner of the jetliner is not confirmed at the moment, later reports will surely ferret out his identity. One thing is for certain: there is much more privacy surrounding a foreign crown prince’s medical affairs than any American can expect under the ObamaCare regimen.